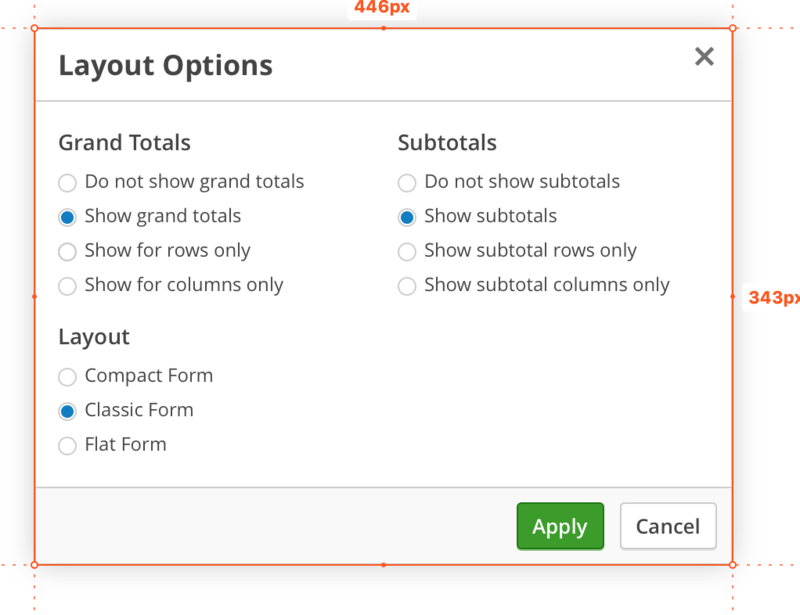 Hello, we would like to move the buttons in the toolbar modals (specifically the ‘Fields’ and ‘Layout Options’ modals) from the top of the modal to the bottom. Are there some options or styling we could use to achieve this? We’re looking at potentially having to write our own modals if we can’t achieve this level of customization. Everything else can be done via CSS. Thanks Ian, this will work. As you said we’re not particularly eager to rewrite the ‘Fields’ modal, as it’s rather complex. Everything else (colors, fonts, sizes) should be achievable with CSS.